You will need dog food reviews once you start searching for the best dog food in the industry. Introducing to the brand, Royal Canin Dog Food has an enormous popularity to the current market began its journey since a very long time. Still, today is working on maintaining its product quality, formulas, and standard nutrition level. However today we are here with the Royal Canin dog food reviews after the recommendation from many professional veterinarians, breeders and animal researchers. If you are also looking for the same product, take out some time from your busy life and read the review. We hope from now you don't have to worry about your individual pet’s food habit. 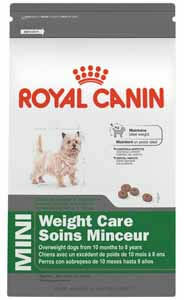 We choose Royal Canin because of they have a large variety of options to select an ideal protein meal. Also, their recipes are easy to chew and digestible. 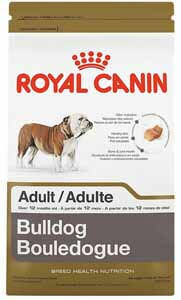 To know more about Royal Canin dog food, you should take a closer look at this review. The name is widespread in the dog food industry; in fact, it's a global leader in pet health nutrition. Every day a new brand is coming on the market, but its objective is to remain the same in our quality and recognition. They work hard to preserve the quality and ensure every cat and dog can get the proper nutrition. Each of the pet needs adequate diet according to their age, weight, digestion, environment, breed, and gender. However, Royal Food Compan﻿﻿y has been starting their journey since 1968 in France. And the man who built this business was Jean Cathary. This man dreamt of making a pet food company where all pet gets nutritious food for a healthy lifestyle. In this way, the company started getting an international reputation for the breeding skills. In fact, they earned a half billion euro for the sales outside France in 2008, and it's a great achievement for a brand like them. The reason behind such glorious success is customers felt very satisfied with the food quality. And according to their reviews, their dogs started being beautiful, luxurious, coat and fur are getting shine day by day. So they are happy with this pleasant result. Many people thought Royal Canin dog food made in USA and people around the world couldn't get the access to have this product. But it's not its wordwise headquarter built in Southern France, and until today it remains one of the advanced pet food manufacturing company around the world. All the products they deliver have U.S facilities and ensure top quality. There are many types of dog foods on the market, but it is hard to find the best one. Here you can check our Royal Canin puppy food reviews which can help you to know why you should choose the best foods for your dog. It often found in lower grade dog food. In fact, it's an inexpensive fibrous material that most of the times the dog food manufacturer used as a filter. It makes forming biscuits and kibble easier than ever. Here the gluten protein it contained damages the lining of the small intestine. It also prevents from absorbing parts of food. All these are important for staying healthy for a dog. But sometimes because of wheat intolerance, some health issues could occur. What does it mean? Okay, the result found after milling process for whole rice called brewer’s rice. This ingredient is not harmful to any dog at all rather it provides nominal nutritional value for dog’s health. Instead of the milling process, the whole grain brown rice would be more nutritious for dogs. It is on top of the list because it presents a large amount of Royal Canin dog food. Many regular customers mentioned in their Royal Canin dog food reviews this high-quality source of protein are very nutritionally beneficial for dog’s growth. 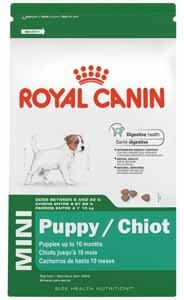 It is another most common ingredient of royal dog food. You may know that chicken contains 80% protein and 20% fat. In a word its a combo of phosphorus and vitamin B6 altogether and an excellent source of selenium and niacin. Unless your dog has no particular allergen issues, it has much protein per ounce. Those who didn't hear this name before oat groats are the whole oat grain. Its a combination of endosperm, hull, bran and cereal germ. In particular, they have no lacks of nutritious value, but the only problem is these are a bit difficult to chew. Keeping this in mind make sure the groats are well soaked before cooking. Not only this, the ingredients contain 6% fat, 18% protein, and 76% carbs to ensure proper nutrition. This ingredient is an excellent source of manganese and dietary fiber. In this addition, barley has seven percent protein, ninety percent carbs, three percent fat and it is another low glycemic carbohydrate. Besides this other typical ingredient of Royal Canin dog foods is wheat gluten, antioxidant rosemary, dried beet pulp, chondroitin, pork meal, fish oil, etc. Except for wheat gluten, which causes allergy to some dogs there found no complaints regarding these ingredients. Even most of the renowned brands used these elements, which have lots of high quality, nutritious value. The brand has many key benefits you will find in most of the customer's reviews. If you want to know when there are tons of dog food companies available on the market, then why should you buy Royal Canin dog food? Well, you will get the answers in the following three points. 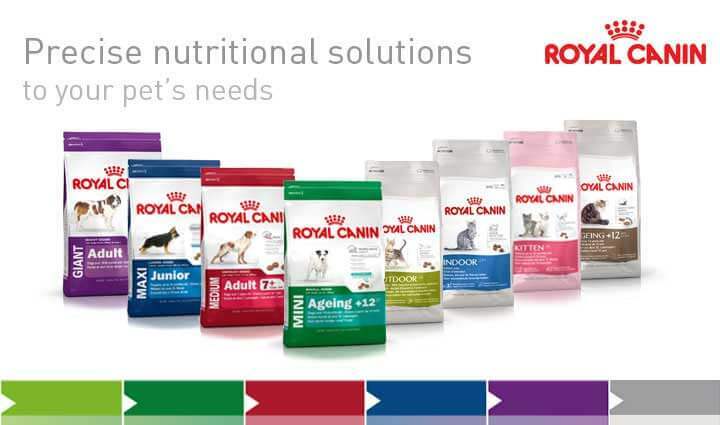 Royal Canin foods are available anywhere both in online and super shops. They are easy to buy. Further, whoever bought the dog foods mentioned in their Royal Canin puppy food reviews, their puppies are getting healthy and active all day after feeding this food? These are a complete course for your dear puppies and nutritionally balanced for all life stages. With this in mind, the pet owners can get relief in their pet animals are consuming a combination of vitamins, minerals, fats, proteins, fiber, carbohydrates and get the proper nutrition. 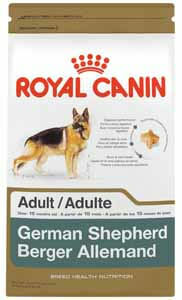 Royal dog Food Company uses the original dog food formulas depending on specific size, age, weight, and lifestyles. Even some of their products are a great solution to certain health problems. No matter if your dog is suffering from a particular health problem the recipes of royal dog food will suit perfectly with your dog’s need. Many of the nutritionists recommend feeding Royal Canin dog food to address issues from digestive and urinary issues to sensitivities and food allergy problems. 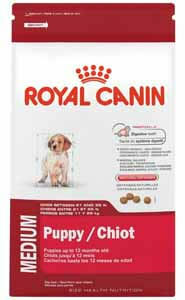 One of the most significant benefits of using royal dog food is they use only all natural ingredients. With this in mind, customers addressed them as the most trustworthy company in their Royal Canin veterinary diet reviews. Until now, no issues noted as they mixed any chemicals or preservatives into the recipes. Even the manufacturer doesn't mix any artificial colors or flavors with the recipes, so the foods are 100% safe to feed your darling dogs. For this reason, the foods are suitable for all dogs from adult to puppies at every stage. 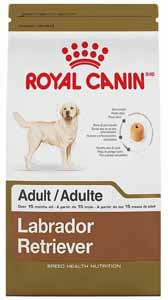 Among so many dog food products, Royal Canin Breed Health Adult Dog Food is one of them. These types of foods mainly focused on providing energy for your dog. Moreover, they are offering dozens of specialized choices that meet your dog’s unique nutritional needs. In a word, its full of carbohydrates and fats. When your pets get tired after roaming all around your house, this is the only thing they need. Those who have an overweight dog they must consider a brand containing lower fat but a right balance of fat and carbohydrate. In this addition, its main ingredients are brewer’s rice, which is a nutritious addition to any wild animal. The food value is incredible helps your dogs to maintain healthy joints and healthy bone structure. As well as it contains the right amount of vitamins and minerals and it supports your dog’s good health. Not only this, but the food is rich in fiber also. The manufacturer added this ingredient because the LIP proteins are easy to digest. Next, see the shape, size, and texture of the food. Thanks to its kibble consistency, more comfortable to grab for any dog of all age. According to most of the Royal Canin food reviews, this type of pet foods encourages a lot of dogs to chew and digest quickly. Being rich in fiber no issues regarding digestion. 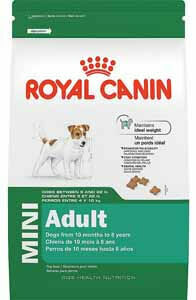 Anyone who bought once this dog food they only know the great value of Royal Canin medium dog food. These recipes are very friendly and vivacious. No matter whether your medium sized dog prefers to laze around outdoor or indoor play the formula specially created to meet its dietary needs. Hence, all the ingredients included here are for full of strength and maintain good health for your puppies. One of the main ingredients added these recipes are brewer’s rice, corn gluten meal, natural flavors, fish oil, dried plain beet pulp, wheat gluten meal, and wheat and chicken byproduct meals. Research shows these ingredients are all energetic and highly nutritious. Moreover, the manufacturer specially prioritizes the kibble size. As these are, the medium-sized breed so chewing them is nothing but a matter of few seconds. With this intention, the formula will be ideal for medium breed dogs aged up to twelve months. Breed dog doesn't get longer period to live. Due to the fact, they need more energetic foods than other breeds to being active. A great balance of calcium and phosphorus ratio present in the food. So your puppies can grow healthily, and it develops their bone structure strong day by day. The dog food meets the nutritional levels established by the AAFCO Dog Food Nutrient Profiles for the growth of a puppy. It contains 3912 kilocalories of metabolizable energy per kilogram, which are essential for a puppy’s body improvement. Research shows it contains 3.6% crude fiber, 29.5% crude protein, 18.5% crude fat lutein, moisture, vitamin E and C. The recipes are suitable for small dogs from two to ten months of age. Among so many ingredients, one prominent ingredient is fructooligosaccharide. Do you know what it called off? Well, it's prebiotic and supports the growth of healthy bacteria in the puppy’s body. Another vital ingredient is the chicken meal. It's a great source of protein. Especially when you add meat to your dog’s mealtime more protein or less moisture will develop in the stomach. As well as the reviewers mentioned in the Royal Canin puppy food review, it contains a variety of essential vitamins and minerals in the formulas. Experts considered these elements essential for the health of your dearest puppies. When puppies are only two or three months old, their immune system could be vulnerable to many forms of virus or bacterias. During this time its very important to feed them nutritious food rich in vitamins and minerals and all these requirements are present in this single recipes. 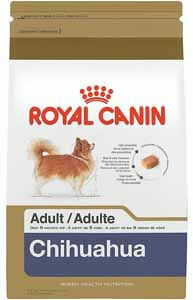 After our online research and analysis, we end up with a point that the brand is another name of the trust of dog food. Being loyal to the business, they have been dealing in the market for such a long time. Thinking about dog owner’s they come with both dry and wet dog foods. Even they also have options for particular health problems and specific breed’s needs. So those owners who are searching for dog foods as a solution to their pet’s skin or hair problems these formulas will work perfectly for them. These will also ensure their proper nutrition at the same time. We believe that Royal Canin understands the nutritional needs of puppies. With this intention, they bring such most comprehensive food products for your darling dogs. The formula used here especially created to match with the puppy’s nutritional requirement as well as muscle strength. It will be the perfect match for those puppies whom just born or starts weaning. Today’s market it's very difficult to choose one specific food for puppies according to their age and weight. Until your puppies reach adulthood you should take extra care of your puppies, give proper food to develop their growth. The food you buy for him must suit the type and breed of your dogs. Comparing with others, Royal Canin used all the natural ingredients. Henceforth their products are a healthy mix of chicken fat, healthy grains, and chicken meals. Buying dog food when you see your special dogs are leading the healthiest potential life must worth the cost. You won't regret once you buy one package. Even when your dogs reach an adult age, you will need this recipe to maintain a balanced diet. Nonetheless, if you still have some confusion about the quality, you can read some of the Royal Canin puppy food reviews to get an overall idea of the product. The recall process is very complex in a word. Its law by the government referred to CFR 21 Chapter 1, part 7. A recall announced after gathering information about the product to resolve the issues. Once all the consumer complaints gathered in the consumer complaint department, then an investigation conducts. Those companies who are in violation of laws administered by the Food and Drug Administration (﻿﻿﻿FDA﻿﻿﻿) the government can take legal actions against those companies. Though the company gave their highest priority to quality and safety standard, but due to mass production, sometimes it's been difficult to maintain the quality around time. 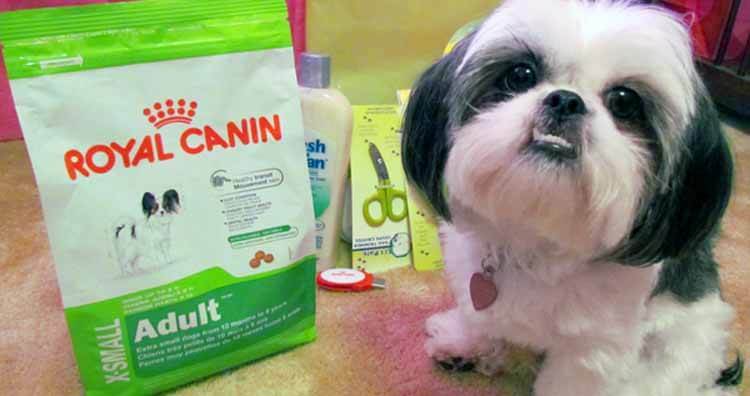 No doubt that Royal Canin is one of the most popular brands of pet food commercial sold in the United States and received lots of customer’s appreciation. For more information, you can read the past recall history. The first recall happened in February 2006. And the reason behind it was the FDA issued a recall for several Royal Canin Veterinary Diet dog foods and cat foods due to high levels of Vitamin D3. During this time due to potential melamine contamination, the FDA issued a recall for several Royal Canin Veterinary Diet and Sensible Choice dog food products Next, the recall happened in May 2007. Again, the FDA issued a recall for Royal Canin dog food products including several Sensible Choice and Kasco Recipes due to the same reason. The last recall history happened on April 30, 2012, by the Food and Drug Administrator. Now until date, there are no recalls history found further. So, Royal Canin dog food is completely safe for your dogs. 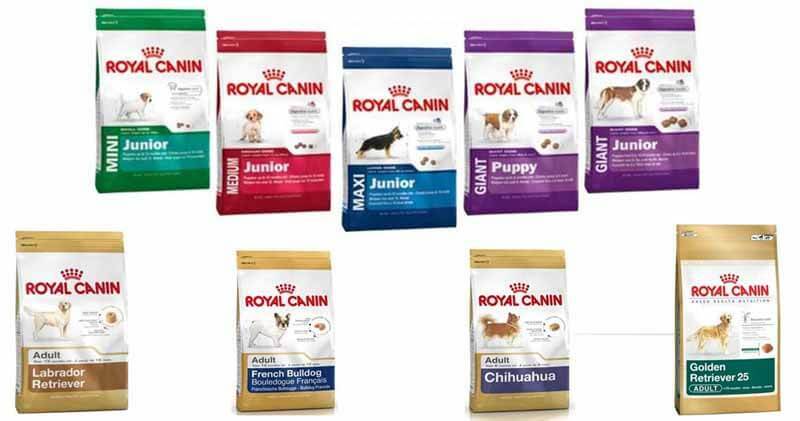 With Royal Canin dog food review, you can find the best foods for your dog. Now coming to this endpoint, you may realize why we choose Royal Canin dog food reviews. Through the entire article, we tried our best to provide you all the necessary information about the dog food. If you compare it with the price, you may think Royal Canin is not an affordable food brand. But it's genuinely a misconception to many dog owners rather it's a brand anyone could afford at any moment. When you are wasting so much money every day choosing any specific dog food brand, invest in a quality food brand. It will save your money as well as time. No matter how much weight your dog has, or how small or adult he is Royal Canin has products for all age, size, test and physical condition for your puppies. The brand believes that your dog is like your family and they never wish any harmful effects on their health. That's why they have been working on the wellbeing of your dogs since so many years. 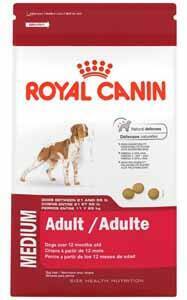 In today’s world, Royal Canin is a name of premium grade and scientifically advanced dog Food Company. No doubt, you will get an immediate result after starting feeding this food to your puppies. If you have to invest money then why not Royal Canin, right? 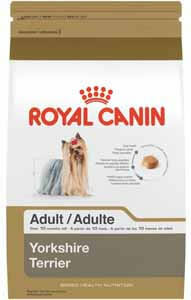 Therefore, before order read once the Royal Canin dog food review and take the best decision for your darling dogs.